Student Outcomes and Natural Schooling has been produced by Plymouth University and Western Sydney University, following a conference organised in collaboration with the University of East London and Natural England, and with funding from the Economic and Social Research Council (ESRC). It highlights the many and varied benefits to children of learning in the natural environment, not just from an educational perspective but also in terms of their behaviour, social skills, health and wellbeing, resilience, confidence and sense of place. But it also says that in an age dominated by a full curriculum, busier family lifestyles and increased fear within society, children are losing the freedom to play, explore and be active in their environment and being denied opportunities that could enhance their long term prospects. Over the past 10 years, there have been five significant reviews focussed on children learning in natural environments in the UK and abroad. This is at a time when there is evidence that childhoods are dramatically changing, and children are experiencing limited opportunities to be outdoors in formal or informal learning settings, with consequent negative effects. This report was produced following the Lessons from Near and Far conference led by Plymouth University in July 2015, which featured 21 international presentations intended to encourage researchers, practitioners and policy makers to share areas of best practice which could potentially be embedded into national policies. The report also includes a review of recent research and policy impacts in the UK, Australia, Singapore and Denmark (which host partners in the ESRC funded international partnership network), to demonstrate ways in which evidence and policy can support each other effectively. This report builds on Plymouth University’s work in this area, which included running the Natural Connections Demonstration Project. Launched in 2012 and funded by Defra, Natural England and English Heritage, it was one of the largest outdoor learning projects in the UK. This four-year project, working in more than 130 schools across the South West, aimed to significantly increase the number of school-aged children experiencing the full range of benefits that come from learning in natural environments (LINE). The Natural Connections project aims to increase the number of school aged children experiencing the benefits of learning outside in a natural environment. 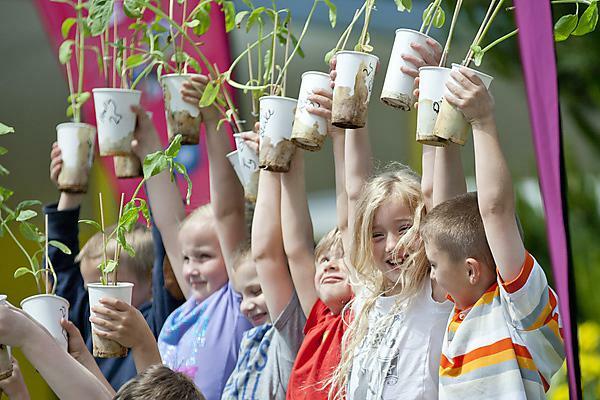 Funded by the Department for Environment, Food and Rural Affairs (Defra), Natural England and English Heritage, it is one of the largest outdoor learning projects in the UK, involving around 40,000 children in 200 schools across the South West. Evidence shows that giving lessons outside can be challenging. Teachers' Knowledge of local opportunities may be limited; they may not know where to access high quality learning resources; and are not always confident about the related health and safety regulations. Natural Connections aims to support schools located in deprived areas to address school priorities through learning in natural environments.